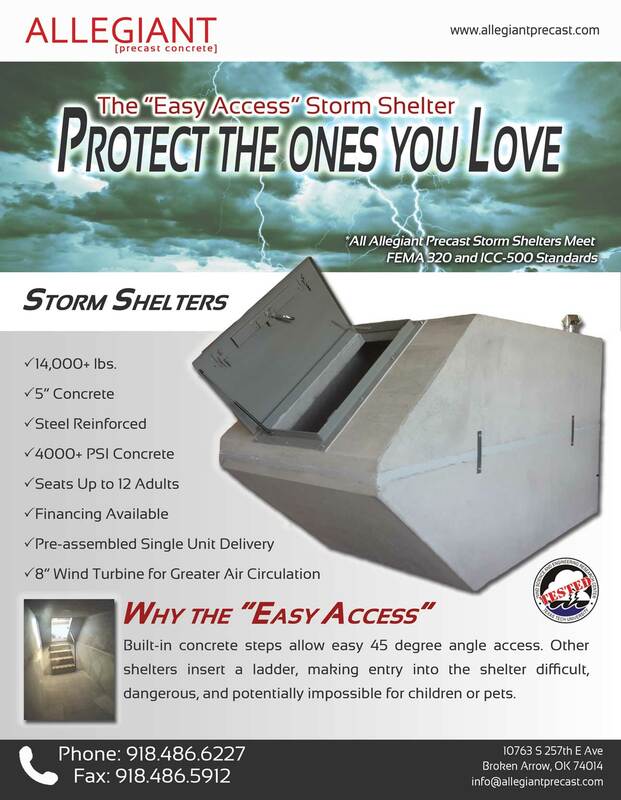 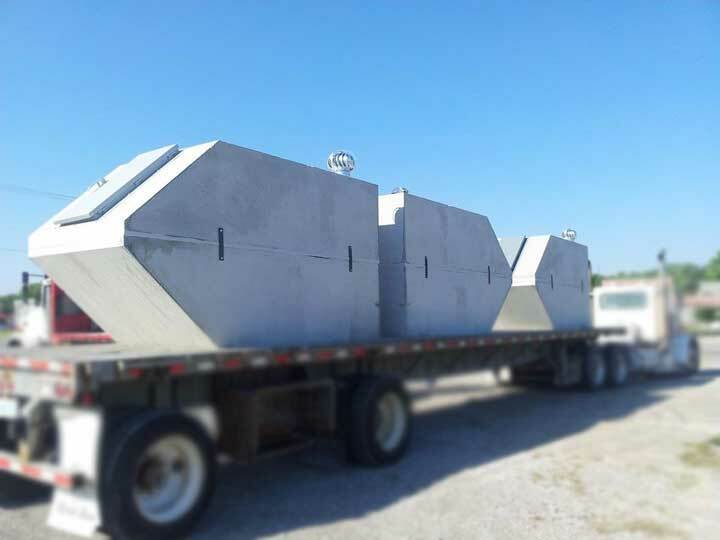 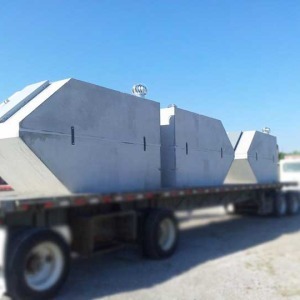 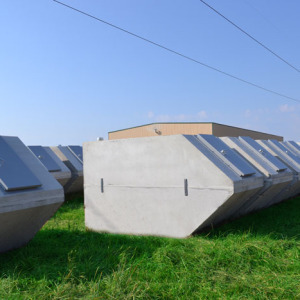 Allegiant’s “Easy Access” Storm Shelter: besides being designed & engineered to meet and exceed all FEMA standards and regulations, was designed with your safety and comfort in mind. 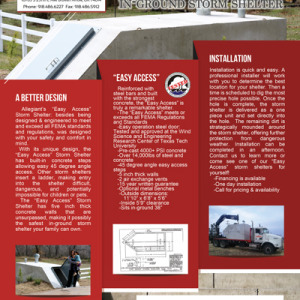 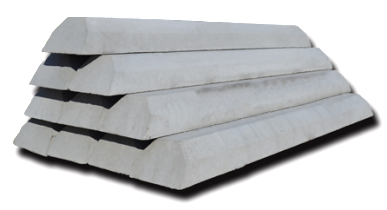 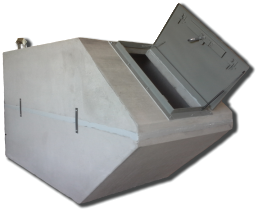 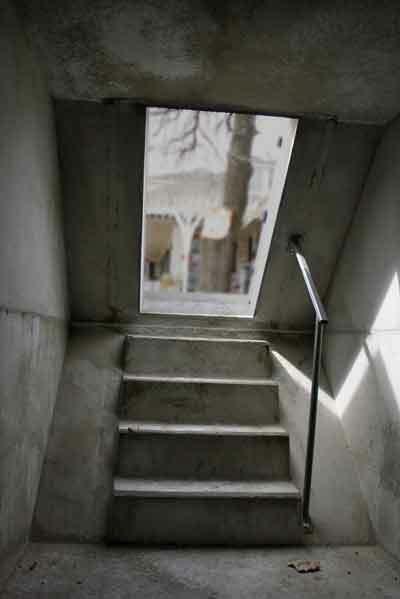 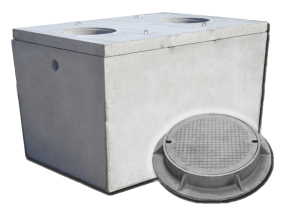 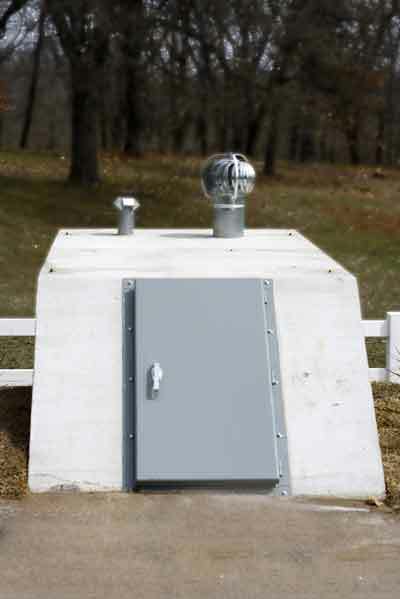 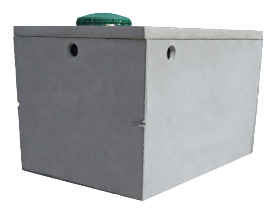 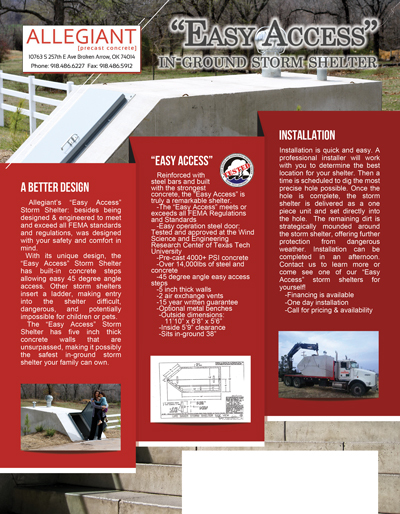 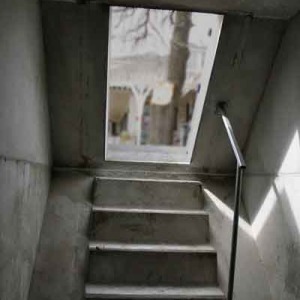 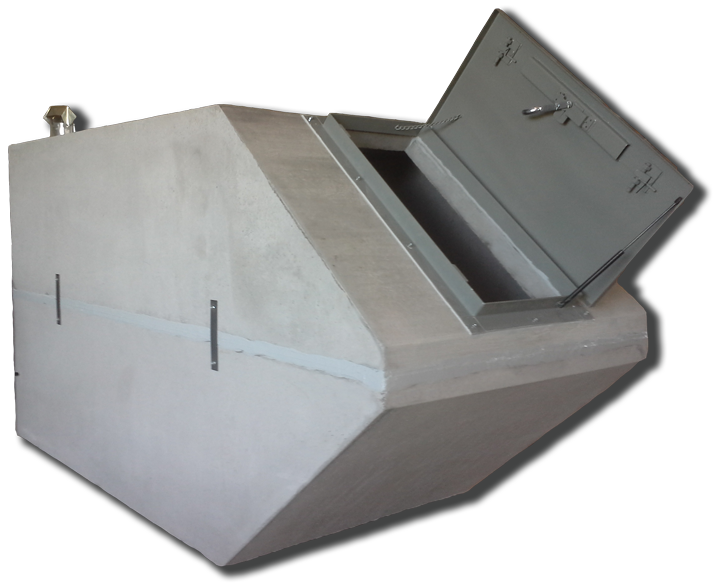 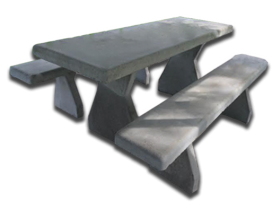 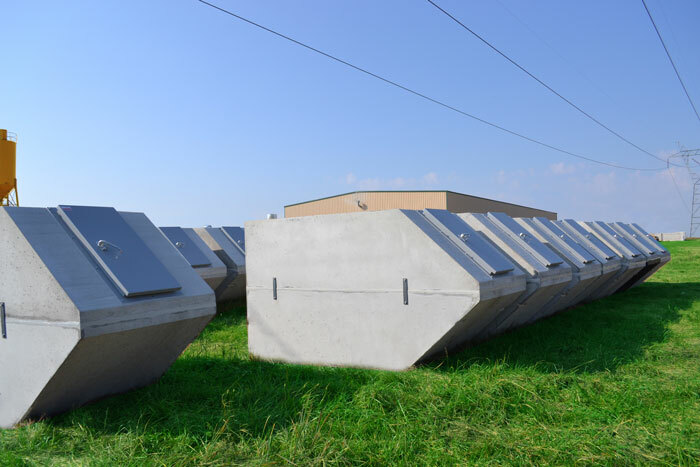 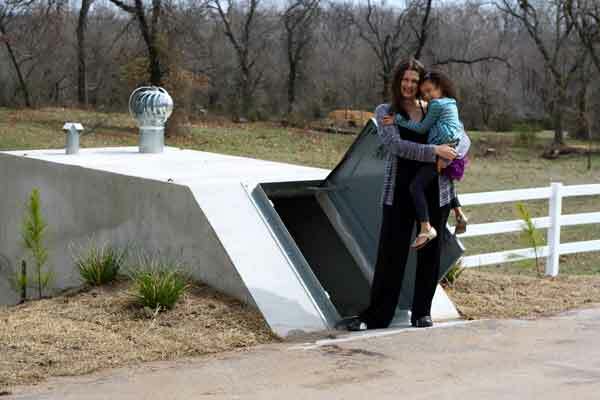 With its unique design, the “Easy Access” Storm Shelter has built-in concrete steps allowing easy 45 degree angle access. 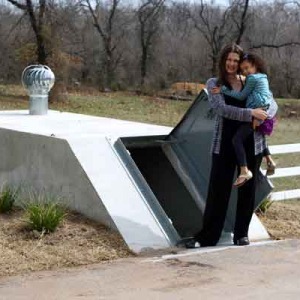 Other storm shelters insert a ladder, making entry into the shelter difficult, dangerous, and potentially impossible for children or pets. 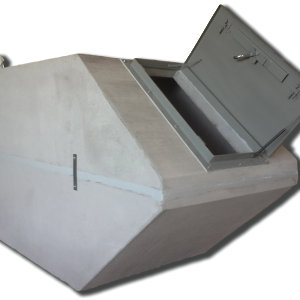 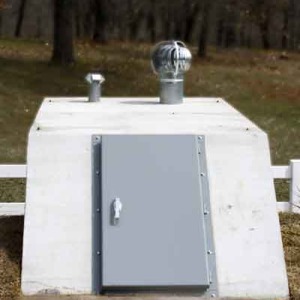 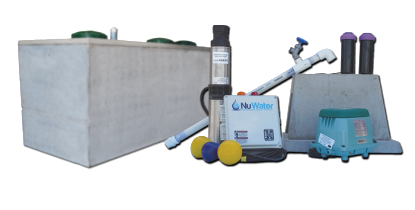 The “Easy Access” Storm Shelter has five inch thick concrete walls that are unsurpassed, making it possibly the safest in-ground storm shelter your family can own.